Planet SR388 has never looked this good… or felt this dangerous. 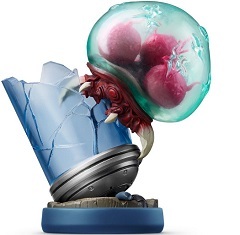 While I do wish there was more of a story developed, each encounter Samus has with a Metroid feels like a real, dangerous event, not simply a means to an end. A menacing air drives you to turn the planet inside and out. 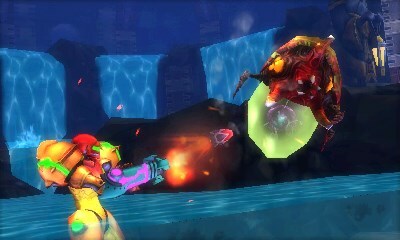 As you descend deeper and the number of Metroids drop, their transformations become even more difficult. The dread of encountering foes is nicely balanced by new abilities. 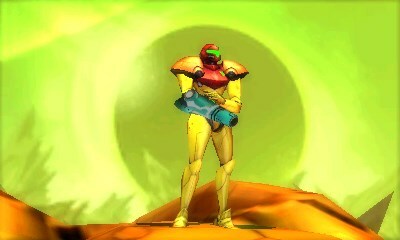 Firing at enemies is standard Metroid fare, but a melee counter (usable from the start) not only looks cool, it makes Samus feel like a real spark plug of the Galactic Federation. Timing is key though, so in the heat of battle you might not use it as much as you’d think. Aeion abilities, which gradually get unlocked, I found much more useful, and they help flesh the game out by adding really helpful techniques like scanning your surroundings for concealed passages, or providing extra shielding. The 360-degree free aiming is quite nice, albeit tricky with the fast-moving Metroids that have truly stringent weak points. Practice on slower enemies is something I recommend so you don’t blow through your missile reserves, at least early on until more are discovered off the beaten track. Aesthetically, Samus Returns is obviously leaps and bounds ahead of the 1991 original, though a few muddy textures and, mostly, some occasional choppiness suggest it could be even better. Still, the colors, amazing background imagery, cutscenes, and strong stereoscopic 3D (some of the best I’ve seen) are incredibly effective in conveying the scraps of a wasted alien culture. The accompanying music doesn’t miss a beat, especially when listened to with headphones. The soundtrack feels “alive” as it were, like a heartbeat to the planet, really contributing to a shuddersome vibe. I can easily see why the soundtrack would lure gamers to pay extra for the special edition release, and I think it’s worth it. 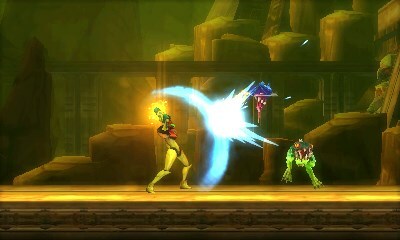 There are some strong sound effects as well, though the weapons can overpower the music. Certain amiibo will unlock aesthetic bonuses after beating the game. “What nightmares await from the darkest of depths? 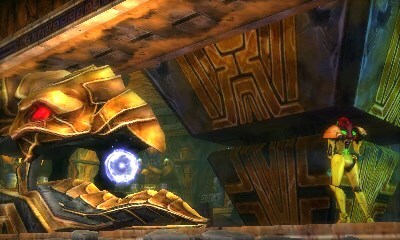 One of my favorite additions to Samus Returns is the map. It’s not perfect though, so let me get my couple of gripes out of the way first. Even though part of it is always visible on the lower screen, you can only access it in full from a separate menu. There’s no way to zoom either, and with over two dozen tiny icons I really wish that option existed. Having said all of that, being able to scroll through, and place multiple pins, eliminates one of my key frustrations with the original game. Filling in the map, especially when rolling on the ceilings as a spider ball (and to a lesser extent while space jumping), is more fun than it should be. The map isn’t the flashiest of additions, but it might be the most helpful one. 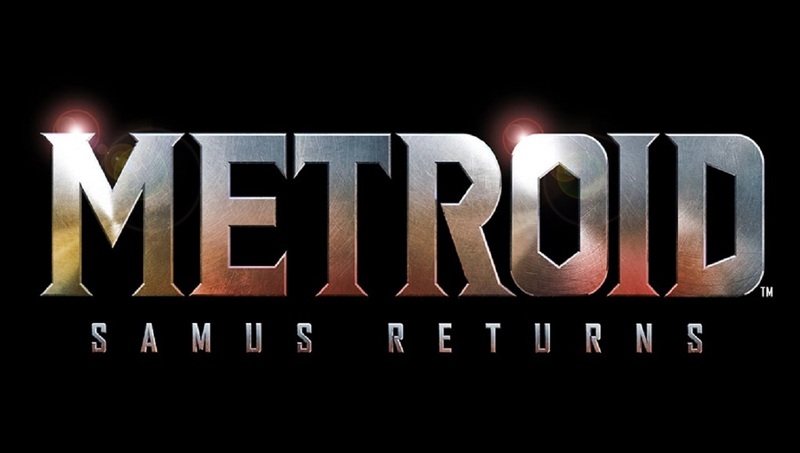 Nintendo is marketing Samus Returns as “a great entry point into the Metroid franchise”. I can certainly see this release scratching a gaming itch some might not have realized they had, especially as we haven’t received a main entry since 2010. That said, I think the game is even better for series enthusiasts, as it offers a deep, often intense challenge geared towards veterans. Even with in-game enhancements, and optional amiibo support to help, this will still have you carefully watching your step. I can’t really comment on the ending, except to say that it wowed me with a cool payoff. With Metroid Prime 4 a long ways off, Samus Returns will keep you busy – I still have a bit to find in my effort for 100%. The game reminds us that, long before the name was hijacked with the suffix “vania”, Metroid was blazing trails, even on the old Game Boy. This 3DS iteration is even better, really more akin to a brand new experience than something reimagined. Metroid: Samus Returns is absolutely worth adding to your collection, as it’s a challenging and hugely rewarding game that’s full of surprises. A buy will help to show that 2D Metroid titles still have a market, as well as support for the series in general. 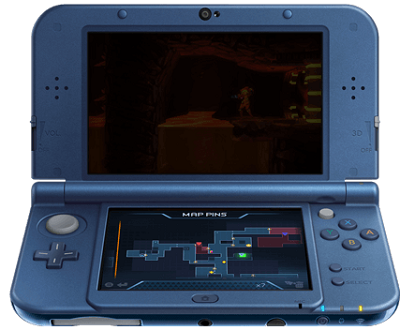 Samus Returns looks to be the next hit on Nintendo 3DS – all Metroid fans should play this game, considering it a must-buy. Kudos to MercurySteam and Nintendo. Metroid: Samus Returns is absolutely worth adding to your collection, as it’s a challenging and hugely rewarding game that’s full of surprises.